Start a Podcast to Upgrade Your Career and Brand. I speak, train, and lead workshops on the who, what, where, when, and why's of podcasting and how podcasting is essential if you want to stand out in your career and online. 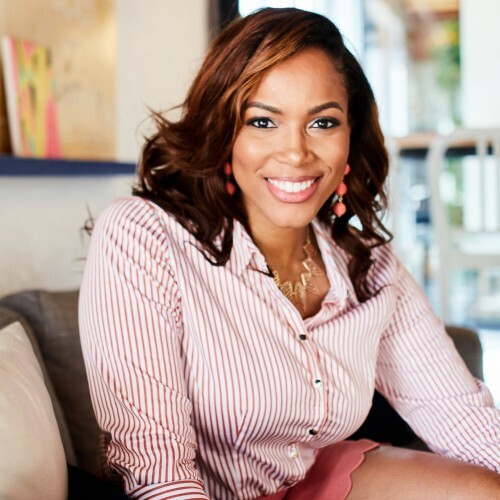 An emerging leader, coach and consultant, Gayon is a champion for people upgrading their career through podcasting to share their message, service, or product with the world. She is the host of the online radio show, She Ventures Podcast, where she delivers insightful interviews with thought leaders, entrepreneurs, and individuals who share the journey towards their dream career and lifestyle. Self-produced and self-managed, her podcast is featured on iTunes, Stitcher, Spotify, and Google Podcasts. With over 60 episodes since its release, her podcast has seen thousands of downloads and has become an international classroom for women to learn practical tips around upgrading their career, starting a business, and navigating changing life seasons. As a podcast implementation specialist, Gayon believes that the future is for the podcaster. She invites inventive entrepreneurs, coaches, consultants, authors and speakers to realize the benefits of podcasting to be reachable, accessible, and marketable. Her personal experience of building a new network and listenership has enabled her to receive tremendous exposure as a leader in career coaching and a consultant for others to launch their own podcast. Gayon’s mission is to help 100 people by 2020 upgrade their career by launching a podcast that reflects their God-given dreams, their purpose, and matches the legacy they want to leave. If your organization or company is struggling with how to build engaging content that connects with your target audience, invite Gayon to make an impactful contribution by sharing the strategies that have helped her launch a podcast and build her authority as a coach and consultant. Her blended expertise in podcasting, coaching, and marketing is perfect for corporate trainings, conferences, panels, and workshops. As a professionally trained coach, Gayon will empower audiences to tap into the minds of their target consumers to develop a podcast that builds trust and enhances their brand's visibility. Find out more about Gayon Nicole at http://sheventuresnow.com/podcast-consulting.